Addressing backbenchers during parliament's question and answer session on Wednesday, Minister Ziyambi said the law has not served its intended purpose of reducing the spread of the virus. "... Indeed when the legislation came into effect, the thinking there was that, we need to control the spread of HIV by criminalising those who transmit it to partners willingly. 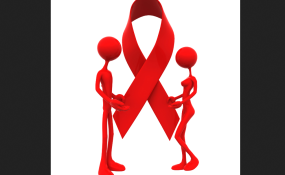 "But global thinking is that the law stigmatises people living with HIV and AIDS. Studies have shown that it does not produce the intended results that it is intended to achieve and so what the ministry is going to do is repeal that section of the law," said Ziyambi. "We are looking at perhaps introducing that amendment through the Marriage Bill Act that is due to come," he said.